Product prices and availability are accurate as of 2019-04-18 23:44:10 EDT and are subject to change. Any price and availability information displayed on http://www.amazon.com/ at the time of purchase will apply to the purchase of this product. 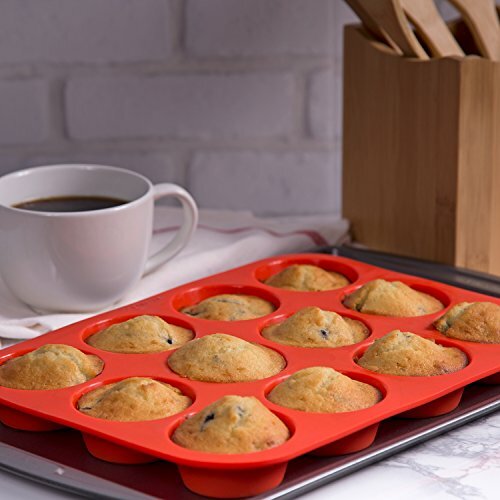 Package Includes: 1 - Zenware 12 Round Cup Non-Stick Silicone Baking Mold for Cupcakes, Muffins & Mini Cakes / Product Dimensions: 12.25" x 9.5" x 1.5" / Mold Dimensions: 2.75" x 2.75" x 1" HIGH QUALITY NON-STICK SILICONE: Bake your favorite sweet treats easily and with less mess using Zenware Silicone Baking Molds. 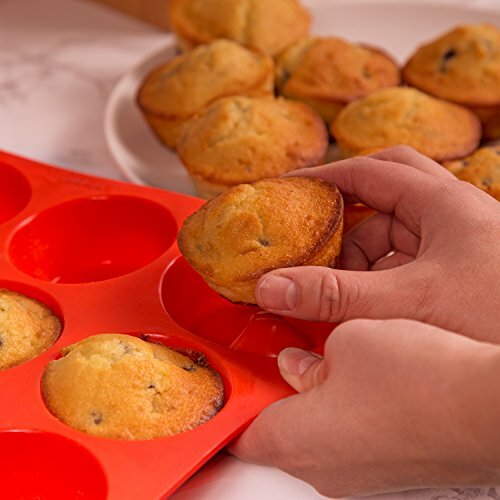 Silicone baking molds are non-stick, so you get whole muffins and cupcakes on your plate, instead of half of them left sticking to your baking pan. Simply pour batter, bake and then pop them out of the flexible baking tray. This also means less oil or butter on your cakes, as well as quicker cleanup. More time eating, less time cleaning. 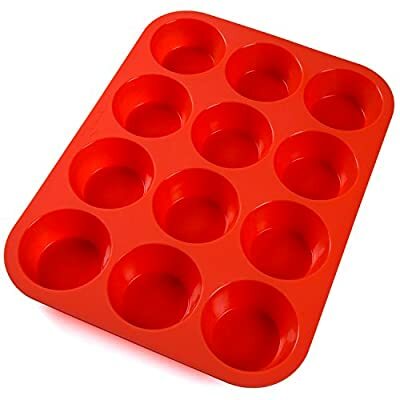 CIRCULAR MOLDS: Features circle molds that can be used to make cupcakes, muffins, mini cakes, cake pops, cookies, lollipops, chocolates, breads, mini quiches and potpies, pudding and more! You can even use them as a tray to make uniquely shaped soap or ice. HEALTHY & SAFE: Oven safe, freezer safe, dishwasher safe. 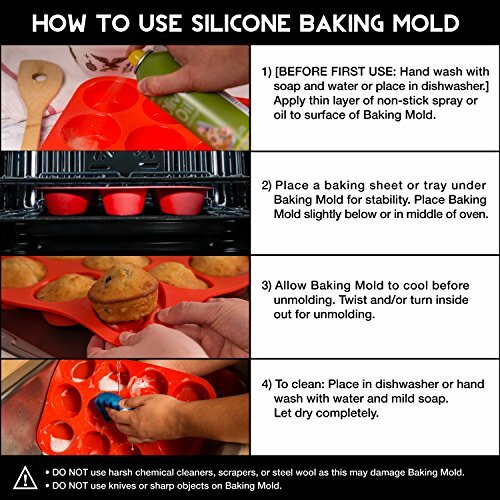 Maximum heat capacity of 450°F ensures that the Silicone Baking Mold will not melt in your oven. You can also throw it in the freezer for ice or cold treats. Versatile, safe and convenient! 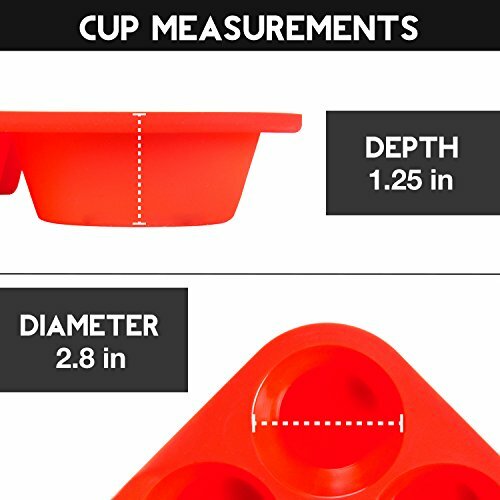 FDA approved and BPA free bakeware - Rest assured that you are baking safe and healthy treats for you and your family. CUSTOMER FIRST: Reliable customer service is our priority. Product comes with the Zenware Brand Guarantee. If you are not fully satisfied with your product, we readily offer a hassle-free 30-Day Money Back Guarantee.